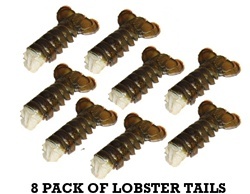 8 Huge Maine lobster tails package deal averages 13 oz to 14 oz each tail. Copyright © 2008 www.simplylobsters.com. All Rights Reserved.